Mornings are starting to get cool already, and living in Wyoming you know that winter comes quickly! 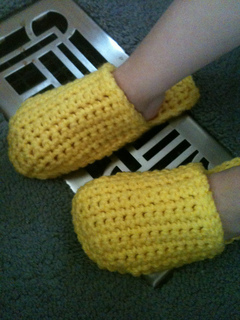 Whip up a pair for your little one’s feet in a matter of an hour or two, and keep those little piggies toasty! 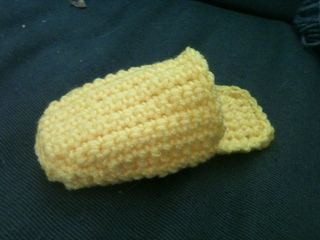 Uses a very small amount of yarn, so it’d be good for using up those little bits you have leftover.